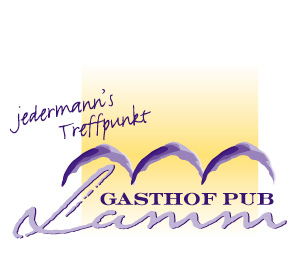 Our guesthouse is in the centre of St. Peter, the Villnöss Valley’s main settlement. We can be reached via the A22 Brenner motorway – Klausen/Chiusa exit. Follow the signposts towards Brixen/Bressanone. After approx. 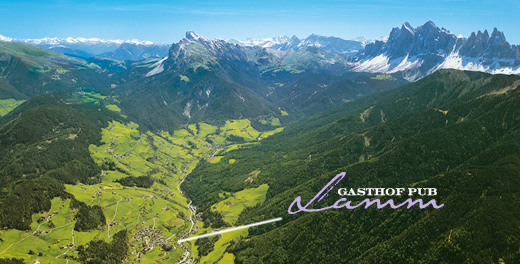 1 km on the main highway you will come to a right turn into the Villnöss Valley. 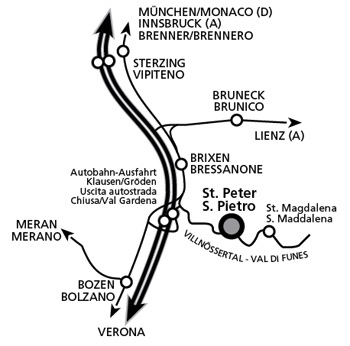 After 13 km you will arrive in St. Peter; our guesthouse is on the left hand side of the road.